Find profiles for aquatic nuisance and invasive species, create customized field guides. Developed by The Nature Conservancy, this online tool helps inform and guide invasive plant management decisions by determining if projects are likely to be successful or unsuccessful, based on entered responses to a series of questions. 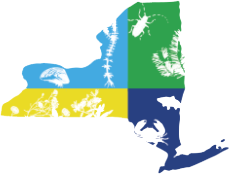 Information and resources for identifying and learning about the biology and ecology of native and invasive forest pests. Learn about prevention, management options, and research on invasive mussels. Find information on how to distinguish native and invasive phragmites, impact and management recommendations, and links to recent research. Resources include webinar presentations, factsheets and management guides.